Thompson revealed the diagnosis as evidence arose that seemed tocontradict his story about why he was not responsible for a degreelisted on his resume that he does not have, the newspaper reported,citing anonymous sources familiar with the situation. The cancerdiagnosis came while Thompson’s academic record was under scrutiny by aYahoo board committee appointed toinvestigate the matter. Thompson didnot want his illness to be publicly disclosed, a source told theJournal, and he has begun treatment for the disease. 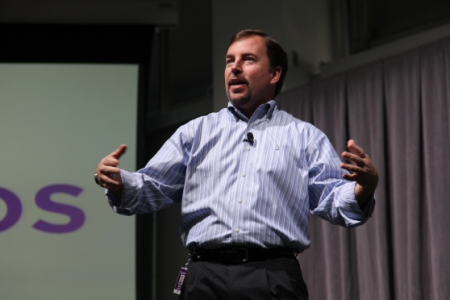 Ousted Yahoo CEO Scott Thompsonhas cancer, according to company insiders. Thompson, who had been under increasing pressure to step down becauseof the resume situation, decided to resign in part because of thecancer diagnosis, one source told the newspaper. His resume listed anaccounting and computer science degree from Stonehill College inEaston, Massachusetts, but his degree was in accounting only, it wasdiscovered. Thompson blamed the error on a head-hunting firm that hadbeen involved when he was named president of eBay’s PayPal division,but the firm, Heidrick and Struggles, publicly discounted that claim,saying that it could prove it was false. Yahoo announced Sunday that Thompson had left the company and that RossLevinsohn, who had been in charge of the company’s media websites,would step in as interim CEO while the board searches for areplacement. Fred Amoroso was also named chairman of the board,replacing non-executive Chairman Roy Bostock. The board also announcedit had settled a proxy fight by activist shareholder Daniel Loeb, wholeads the Third Point investment fund, which owns about 5.8 percent ofYahoo. Loeb brought to light the discrepancy in Thompson’s academicrecord, which played a central role in plunging the company into thelatest of what has been a long series of controversies and missteps byYahoo management. Soon after Yahoo announced that Thompson had left the company — it didnot call his departure a “resignation” — Kara Swisher, the reporterwho broke the news that Thompson was out as CEO on the All Things Dblog Sunday, postedLevinsohn’s first memo to employees in which he sought tooffer encouragement. “Importantly, today’s announcements lay to rest the unfortunate andserious distractions surrounding our senior leadership and thecomposition of our Board going forward,” said the memo, which was saidto have been obtained from multiple Yahoo sources. “Of course, these changes will also raise new questions along withthose it answers. I invite you to bring those questions to me, or anymember of the executive leadership team, and we will answer them asforthrightly and promptly as we can. Please also look for an invite andplan to attend an all-hands meeting we are organizing for Mondayafternoon — we look forward to speaking with you further at thattime,” it went on to say before encouraging employees to focus on themomentum that the company has created in the last few months. That seems to be a reference to Thompson’s brief tenure as CEO. He wasappointed to the post in early January and quickly made managementchanges and announced layoffs. About 2,000 positions were cut at Yahoo.Those layoffs were a catalyst intriggering Loeb to take action, withthe investor arguing that Thompson should not have begun that level ofjob cuts without having first laid out a more detailed strategy. Yahoo also had rejected an acquisition offer from Microsoft,whichremained a sticking point, including with Loeb, who cited that decisionas one in a string of management errors.